I'd echo what everyone else says - what you've done is immense. As you've asked for minor comments I've put a few below but obviously in a constructive way and not something I'd ever have looked at unless invited. - have Euston Square and Russel Square left hand aligned above and below( they're close enough now to make it look like that's what's intended but just not done correctly. - Goodge St and Tottenham Court Rd. Very slightly above and below each other, could they align? - Mill Hill East - the positioning of the station name doesn't look right compared to how the others finish. Above the cross at the end of the branch? - Northern CX branch is so close to the grid line but a few pixels away - could they align like the Hammersmith - Edgware Rd branch does? - The Jubilee at North Greenwich looks like there are two separate Jub branches, especially as the curve is very sharp. Again, please do take these in the way they were meant and feel free to think I'm talking rubbish. I think you've done a great job. The circle line text should be blue in the key (see wikipedia page). I'd like to echo the comments above; you've done a very good job with this! Thank you *so* much! All of you actually, because I love all this knowledge combined. I have a deel love for this system, but my knowledge is just starting. Good thing I have a lot of off-time this month to tinker with this design. It's all constructive to be sure! - Brave and bold to colour the names/labels! love it! however i would make Stratford the purple Crossrail (don't use the 'E' word) colour, and not the DLR colour. Done! I didn't know the 'E' word was sensitive around here. Sorry! Very well spotted! It's funny how they picked Piccadily for the 'main' label colour, yet have the intersections black. - you've used Victoria blue on the whole line... except for Euston. why does the Northern win out here, whereas the Victoria wins out at Stockwell? I chose purely on gut feeling, however today I did get my hands on a nice map which has the 'ownership' of stations, so I updated accordingly. Euston is Black now. Stockwell is still blue on that mapas well. - i love how you DONT use connector blobs where the same line connects, e.g. Woodford! Yeah, you don't 'connect' to a same line. 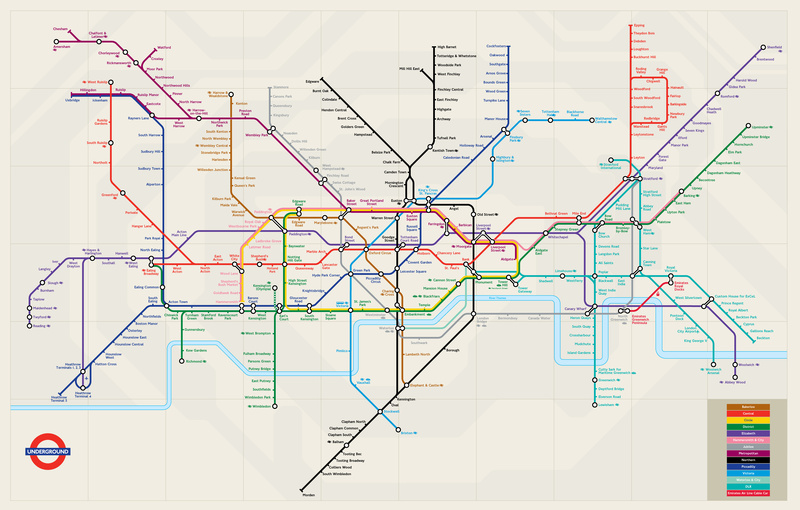 I used the Large TFL Print Map as reference. Off it goes. Or at least hidden this time. - Chorleywood and Rickmansworth should also have a BR symbol if Chalfont & L has one? Weird that they are not listed on the TFL map. But I'll add them, and the interchange blobs as well. I just spotted that as well while doing the North Curve. That does need a bit of extra work, but it's not a bad idea at all. That entire area could use with a tad of a re-draw. It's on the list! That's the same as the current tube map now. 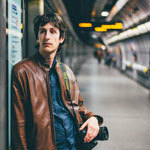 - I actually WOULD put Overground on the map (good luck with that!) but leave the Trams off, yes. - There is no need for the Dangleway to be on the map. It is not a viable public transport option. True, but I like it. But it can be taken off from the PDF. It'll be editable. Probably because the older step-free access icons. Fixing it. It is confusing isn't it? Moving the line higher. - Why have a fourth connector blob at bank for the DLR? why not just have it run into the one that the Northern Line uses. it is directly underneath the Northern Line in real life, dead close! It was like that on the TFL map. Much more logical indeed without the 4th blob. - You chose to use District coloured green all the way along the eastern end of the district... except for Bow Road, looks odd. make it green! 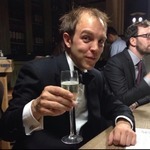 - arguably, Barons Court should have connector blobs, as you can change there between two different lines. Done. Why isn't there a connection at Hammersmith by the way? It seems silly there isn't one there. I mean, there are 4 lines converging there. Why isn't there a tunnel or something? Gosh, i'd better stop there. You did ask people to nitpick! sorry! it does look great though, really really nice. And would also love a large PDF of this that i could print out poster size and stick up on my wall. Thanks for that massive batch of feedback! Here is a map (double the resolution) as it stands right now, with the Paddington area still left to 'clean up'. oh my! you responded fast, didn't think you'd take it all on board. anywhere where you've said "that's what the TfL map does" (e.g DLR going to fourth connector blob at Bank), it's only like that because the DLR is step-free at bank so they have to have a separate blob. on your map, there's no need.. because you're cleaning/tidying up the map from the mess that it is, and one of the unsightly things is the accessibility blobs. so any chance you have to remove a connector blob would be a good thing! 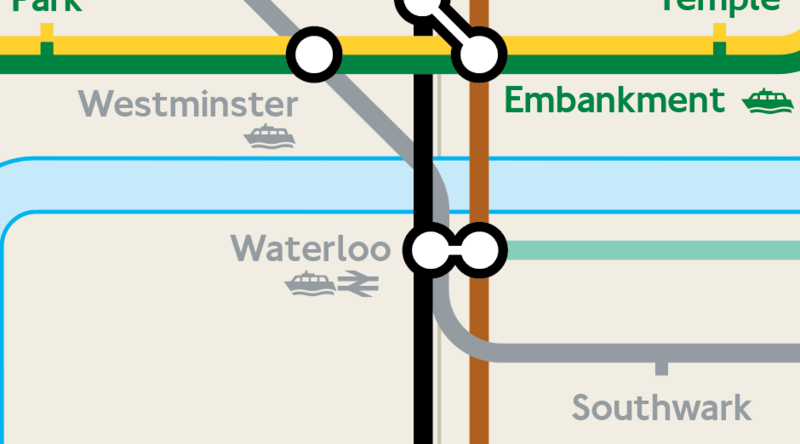 i've tried doing this myself, and one thing i've always looked at is reducijg Waterloo down from 3 connector blobs to just 2. it could be done if you ran the jubilee through at an angle, and didn't require it's own separate connector. you could always argue that connector blobs should ONLY ever be used to show connections to other tube lines only, and NOT have them when the connection is to National Rail. just have the NR/BR symbol.. and no connection blob at all at Amersham, Chalfont, Walthamstow etc .. The symbol shows that there is a connection there to another rail service. Depends on how clean and radical you want your map to look! the E******h line is just a personal bug-bear. i know that many here support me in thinking it should just be called Crossrail! 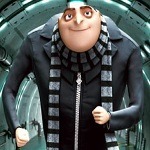 i shall always call it Crossrail! not everyone agrees though and the 'E' word is supported by some... heh. Please do! I love all this feedback. (And all these edits to stations really do improve my knowledge of the map. hehe). It was like that on the TFL map. Spaced them out a bit. Done. What do you think about Edgeware? Funny, since the grid was added afterwards. But yep, added that. Do you think Woodford/Hainault - South Woodford/Fairlop - Snaresbrook/Barkingside should align as well? I moved the Jub a bit down so the curve looks better. thank you .. I added that for now .. I'm just not sure it looks 'right', despite it being official. We'll see if it makes it to the print version. Heh, as I said, it's a slow wednesday, and it's good to take my mind of the stress of an impending move. True, But I really like the design of the blobs. The placement of the NR icons really does give me a headache. There isn't any consistency on alignment it seems. The only problem with that is there is a bit of work with the connecting dots. Because each line itself is a separate layer. Oxford Circus label would look tidier on two lines, to avoid it crashing into the next station east (whose cumbersomely long name is a real nuisance in such a congested area, as well as being ambiguous - I always think of it as Centre Point). Brave and bold to colour the names/labels! love it! One version of the Beck map did that, but duplicated the labels where there were two lines. Very untidy Going by the "owning" line seems a better solution, and is actually potentially useful, although it does look odd in places. You also have to deal with stations which are not operated by LUL, such as Richmond. That's the same as the current tube map now. .
Why isn't there a connection at Hammersmith by the way? It seems silly there isn't one there. I mean, there are 4 lines converging there. Why isn't there a tunnel or something? Historically, because that would have required co-operation between the metropolitan and the District - unthinkable until 1933! In any case, it would be difficult to engineer, because the District station is in a cutting and has two island platforms, whilst the Met is at street level. Any connection would either have to have three changes of level (to get under the road and over the eastbound District) or go really deep. In fact, there used to be a tunnel under the street, and very unsavoury it was too. Crossing the Broadway on the level is actually more convenient. Remember also that until 1906 there was no need for a pedestrian connection as there were direct rains from the Paddington direction towards Turnham Green and Richmond. What's the latest version showing any of today's changes - I can't seem to see the latest link. Edit: Edgware looks okay - perhaps because the name is a few pixels further away from the line than MHE is. Perhaps that's what's needed there. Crossrail: Perhaps move the middle section up to go on the grid line like everywhere else. It would also make it further from Oxford Circus showing a clearer non-change there. Edit 2: Can the name Baker Street be moved up to align with the other stations left and right? True. And there are some odd-ones, like Aldgate is District despite no line there, and the colours for Circle/H&C are combined into yellow. Sometimes I chose a different color because it just looks better and more uniform. How do you suggest we draw that with the Crossrail there exactly? Very enlightening! Thanks! I guess it's one of those little nuggets that make it such an interesting system. I'll work on that once I cleaned out the Paddington area. The name alignments are also fixed now, just like the Edgeware road was a tad too low. Seeing this made me laugh out loud. I was so concerned that the circles on two stations on the Bakerloo line were not centred on the line that I didn't even clock that they were interchange symbols where there was no interchange! It's looking better and better, but I will be very glad when it will be possible to see it without the 'dangleware' line. I know what you mean about balance, so as an experiment I did crudely change the colour of the dangler, and it looks much better with a more subdued colour. Apart from the problem purists have with it in principle, it really screams at you, at the moment, because it contrasts so highly with everything else around it. What program are you using to do it? Illustrator? Perhaps move the CX branch across a pixel or two so it aligns with the grid? Do you think it should be *on* the line? I placed it against it, just like the H&C and the Crossrail.